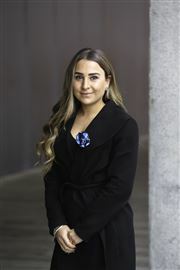 Having defered from University after leaving school, Chloe Cannella took a position at a local Real Estate Agency as a receptionist and soon found that this “fill-in” job became the career of her dreams. Over eleven years later Chloe’s skills and abilities have developed to the extent that she is now running and managing the Department and office. Having always lived and worked in the Mornington Peninsula Area, Chloe has an extensive knowledge of the area, often referred to as having an “Inbuilt Melways” as well as a large network of local contacts. Chloe’s wealth of experience, excellent communication skills and friendly personality make her a popular choice for landlords and tenants seeking assistance with their property rental needs. Chloe understands how important an investment property is to its owner and therefore treats the property as if it were her own. Meeting new people is Chloe’s great joy. “When a client entrusts me with their property, I always act in their best interest. I love what I do and enjoy helping people.” Chloe is also a keen sports enthusiast and lists soccer and tennis as two of her passions, along with spending time with her friends and family. A well-known Peninsula local, Steve has worked in a number of capacities including Sales Consultant, Marketing and Business Development. Approachable, genuine and methodical, Steve has a commitment to excellence in everything he does. As a home owner and a property investor himself, Steve understands that the purchase of a property can be a daunting process without the aid of a professional; yet if handled well it will be a satisfying and valuable experience. Steve is known as the agent who honestly cares about his clients and their requirements. His commitment to strong customer service and timely communication results in his clients achieving a successful real estate transaction in a stress free and enjoyable manner. As a great promoter for the Mornington Peninsula, he looks forward to serving his community for the long term. Steve is also a member of the local triathlon club’s Team Barefoot and MPTC. In his spare time he can often be seen swimming in the bay and cycling and running around the peninsula. Harcourts Victoria is a well recognised brand and Harcourts International’s best joint venture. As the Number 1 state in Australia, our strongest record month last year achieved 254 million in property sales. An established Peninsula local, Andrew has worked in a number of capacities including Sales, Marketing and Business Development. With an approachable and genuine nature Andrew strives to deliver beyond expectations and is committed to producing the best results for you. 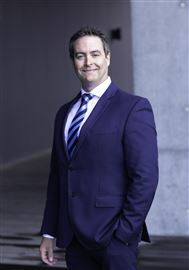 Andrew has grown up in Melbourne and spent extensive leisure hours and holiday time on the exciting Mornington Peninsula. From water sports and open water swimming events to weekends away, golf and wineries, he has enjoyed many of the delights that this area has to offer. He now raises his own family in these beautiful surroundings. With over 25 years of sales, customer service and management experience you will find Andrew very approachable, experienced and a great communicator. His understanding of your needs and expectations will assist you with all aspects of the real estate process, whether you are looking to sell, looking to buy or just looking! Past clients often relate to Andrew’s thoroughness and thoughtfulness with their dealings with him. When not looking at properties or showing them to potential buyers Andrew enjoys cooking and is keen to fine tune his cooking skills on his outdoor fireplace. He enjoys entertaining with his family and spending time with his young children. Andrew loves to discuss real estate and looks forward to assisting you. Carmel is a Bayside local, who enjoys the lifestyle, people and all the Peninsula has to offer. With 10 years of sales and marketing experience, and a focus on people and what matters to them, Carmel has built a reputation based on outstanding customer service and delivering outstanding results. Coupled with her friendly and enthusiastic view on life, Carmel’s strong communication skills keep her cool under pressure, and raise the bar on maturity and understanding within the real estate industry. 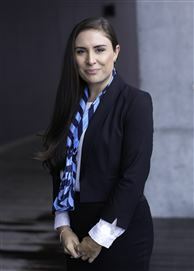 With a passion for homes and the drive to help people achieve their dreams, she looks forward to being part of many more Harcourt’s successful real estate stories. When Carmel is not discussing all things real estate, you can find her taking her beloved little Shih Tzu dog for beach walks and jogs along the river. 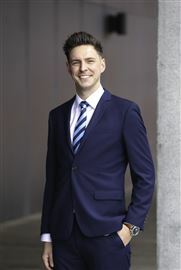 Outgoing, caring, positive and reliable are some of the key qualities Gavin is renowned for – all ideally fitting him for a successful career in real estate. Gavin has a sincere passion for residential Real Estate and for ensuring his clients expectations are consistently met. He enjoys assisting his clients with the life changing decisions involved in buying and selling their homes. With over 5 years experience in the industry, he exudes confidence built on the knowledge that he has the ability and expertise to deliver the results. Accurate communication and his supportive nature assist Gavin to build genuine relationships with his vendors and buyers. 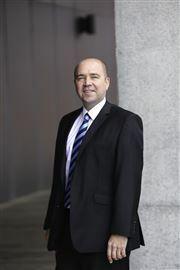 He is meticulous in ensuring his clients are well informed throughout the entire sales process. Equally he is fastidious in his attention to detail, ensuring a smooth and stress free campaign. Gavin builds excitement around each campaign which ultimately rewards his vendors with maximum results in minimal timeframes. 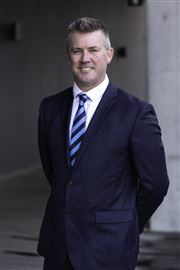 Born and raised in Mount Eliza he has an intimate knowledge of the area and surrounding suburbs. Gavin is an expert in sales strategies and marketing however he is also committed to ongoing training and development in the interest of being able to deliver his clients service and results that remain ahead of the game. As passionate as he is about his career, Gavin also loves spending his free time just enjoying the local cafes, parks and beaches around the Mornington Peninsula with his family and friends. By entrusting the sale of your home with Gavin, you will be right to expect the very best real estate transaction. 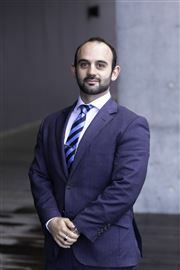 Born and raised on the Mornington Peninsula, James has grown up in Mornington and its surrounding suburbs and has naturally developed knowledge in its many different areas. With a background of both graphic design and building and construction, his previous work fields have created a hybrid of an already genuine and friendly character with someone who strives for the best results whilst doing so professionally and to its full extent. In his down-time, you can catch James either in the gym, at the dog park with his beloved pooch, out on the boat or simply enjoying time with family and friends. 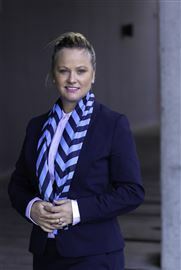 Jasmine has had nearly 3 years of sales experience while working in Real Estate at Harcourts - Apartment World. Before Real Estate Jasmine’s natural intelligence, delightful personality and excellent organisational and people skills were recognised and at the tender age of 19, Jasmine was managing a successful and popular peninsula restaurant. Charged with responsibilities well beyond her years she oversaw the restaurants culture, growth and the development of its team and brand. In the past 3 years Jasmine has had the experience of working in the role of Administration Executive which was a central communication point with vendors and buyers, representing homes during open for inspection campaigns, coordinating marketing strategies; conveyancing and ensuring clients, sales agents, vendors and buyers are managed to the highest level of professionalism. Now moving into a sales role she has gained strong negotiating skills and can provide exceptional customer service in the industry. She has the ability to build strong, genuine relationships with people instantly. Jasmine is dedicated, honest and hardworking, determined to excel in all that she does for her clients. “Other agents achieve recognition for the volume of properties they sell, my ideology is to work hard and get the best possible result” Paul Gilderdale’s philosophy is “Quality not Quantity”. He has a proved track record of achieving record results for his clients and prides himself on spending his time achieving top results. Having renovated and sold 10 of his own properties over the past 20 years Paul knows how it feels to be on both sides of the sale. 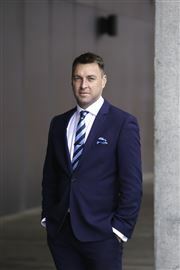 Paul also has the benefit of coming from the world of Banking and Finance and running a successful business for 4 years – these experiences helped him gain valuable knowledge for personal growth and a network of loyal clients along the way. Frankston is currently in the midst of exciting changes – there are new cafes, Restaurants and homes popping up on every corner. ‘The Gateway to the Peninsula’ is only now showing what a fabulous place it is to live, work and invest. During time away from Harcourts Central Paul likes to spend time in the gym and is committed to a ‘healthy body, healthy mind’. He is also a classic car enthusiast and regularly attends shows and events. Alyce is proudly born and bred in Frankston. Having lived in the area her whole life, her knowledge of the market and lifestyle benefits on the Peninsula is second to none. Starting out in real estate in 2009, Alyce’s determination and dedication have accelerated her career to a Business Development Manager. This same dedication and determination is what drives Alyce to get the most from her clients’ investments. She has a detailed understanding of property management and provides clients with personalised advice, helping them secure the highest rental incomes in the area and the highest quality tenants. 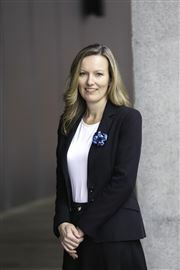 Describing herself as “happy, hard-working and honest”, Alyce thrives on meeting new people and solving the daily challenges in the world of real estate. No problem is too big or small for Alyce – her creativity and excellent communication skills ensure all issues are smoothly and quickly resolved. When she’s not at work, you’ll find Alyce browsing the local boutiques, practising pilates or playing on the beach with her gorgeous Staffies, Sonny and Lola. Natalee’s forward-thinking approach to property management brings a breath of fresh air to the industry. This passionate professional entered property management in 2014 after a grounding in sales and she prides herself on thinking “outside the box” to achieve the best results possible for her clients. Natalee genuinely enjoys helping people and draws immense professional pride from her role in linking prospective tenants with their ideal properties. A smart operator, she understands the importance of keeping landlords fully informed and of getting to know both the client and their property. Her attention to detail sets her apart in a demanding and fast-paced industry, as does her reliability and friendly nature. She aims to exceed her clients’ expectations and build “long-lasting, positive relationships”. When not at work, Natalee enjoys spending time with her husband, their 3 children and their 2 dogs! She also loves weekend getaways to country Victoria and baking. She has a Certificate IV in Property Services, a Certificate IV in Business Administration, a background in customer service, business administration experience and legal sector experience. 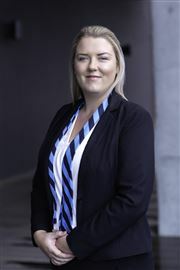 Rebecca started with Harcourts as a personal assistant in the sales department at the Carrum Downs office in 2010, after assisting the number one sales agent in Australia, she then moved to the Frankston rental department where she worked as the bubbly receptionist in 2011. It did not take long for Rebecca to be promoted to an Assistant Property Manager, after exceeding all expectations; she was made a Property Manager within just four months! Rebecca then moved from the Frankston office and was an essential part of opening the Limitless office in 2014. She was subsequently promoted to Rental Department Manager in October 2015. Her attention to detail along with her kind nature and sense of humour makes her a pleasure to deal with for both Tenants and Landlords alike. 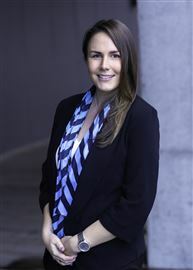 Brooke's passion for Real Estate began well before she commenced her Real Estate Career in 2001. As a young girl she loved inspecting properties, especially display homes. Brooke has worked in residential, commercial and retail real estate and has covered a wide variety of roles, such as; Reception, Office Administrator, Property Management, Lease Coordinator, PA to the Directors. 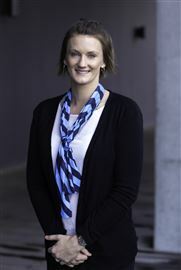 At Harcourts Limitless Brooke's role as Office Administration is wide and varied and each day is different. 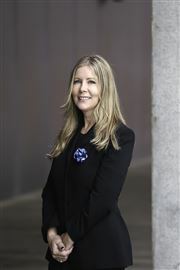 Brooke is an integral part of the Harcourts Limitless team. Red Hot Renovator in the Zone! Sea Breezes & Brand New!